On Wednesday, an amazing story came from the devastating wreckage of the Nepal earthquake: A four-month-old infant was rescued from the rubble after being trapped for nearly a day. The story was first published in Nepalese newspaper Kathmandu Today, which ran images of the baby boy being pulled from the wreckage by members of the Nepalese army. Fortunately, the infant is healthy and in stable condition, despite having been stranded under piles of wood and rocks for roughly 22 hours. According to The Independent, the service members missed the baby boy when they first surveyed the area, searching for survivors of the 7.8-magnitude earthquake that struck the South Asian nation on Saturday. On their second go-around, the soldiers reportedly heard a soft cry, and so they continued to search under the piles of debris until they discovered the four-month-old. The powerful photos from his discovery show the infant wrapped in a hooded sweater and covered in dust. CNN reported that the baby's name is Sonit Awal. It's unclear at this time if his parents survived the massive earthquake and if he has been reunited with his family members. However, it has been confirmed that he is in stable condition and did not suffer any internal injuries. As the death toll of the 7.8-magnitude earthquake soared passed 5,200 on Wednesday, things are beginning to look grim in Kathmandu and its surrounding valley, where some remote villages were severely impacted and destroyed. 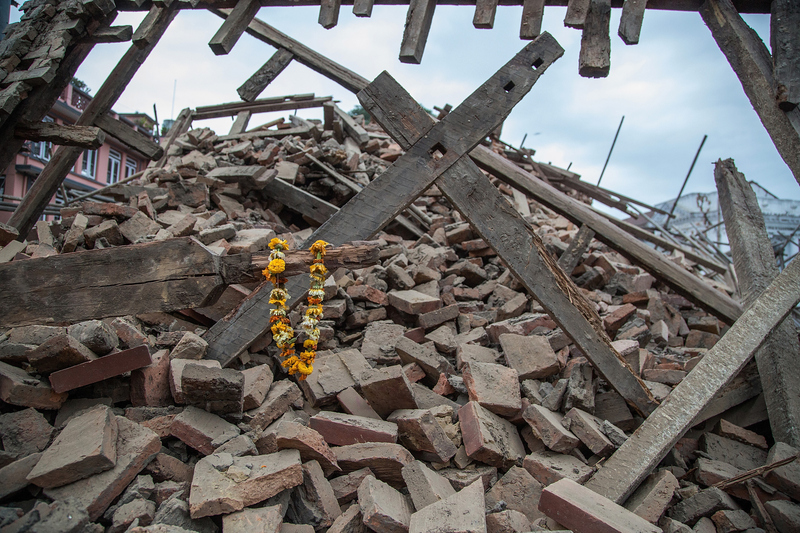 Four days after the earthquake, chances of finding survivors in the rubble continue to diminish. The United Nations said Tuesday in a statement that an estimated 8 million people across 39 districts have been affected by the earthquake. The United Nations Emergency Relief Coordinator allocated $15 million in funds for the relief response this week, adding to a growing number of aid from the U.S. government and numerous NGOs. "With the death toll rising and millions of people affected, it's a race against time as humanitarian agencies work around the clock to reach people and communities," said Valerie Amos, Under-Secretary-General for Humanitarian Affairs at the U.N.
Time is indeed crucial now, but there are emerging tales of heroic strength just like Sonit's. On Tuesday night, a man was reportedly rescued by a French search and rescue team after more than 80 hours of being trapped under the wreckage of a Kathmandu hotel. According to a spokesperson for the Armed Police Force of Nepal, it took roughly 10 hours to free the man — identified as 28-year-old Rishi Khanal. His injuries are currently unconfirmed, but Reuters reported Khanal may have a broken leg. The Armed Police Force of Nepal posted this condensed video of the astonishing rescue of Khanal on its official Facebook page.